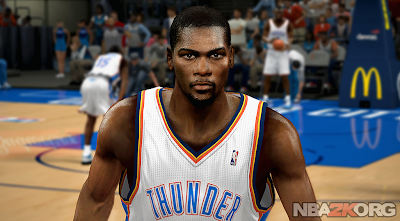 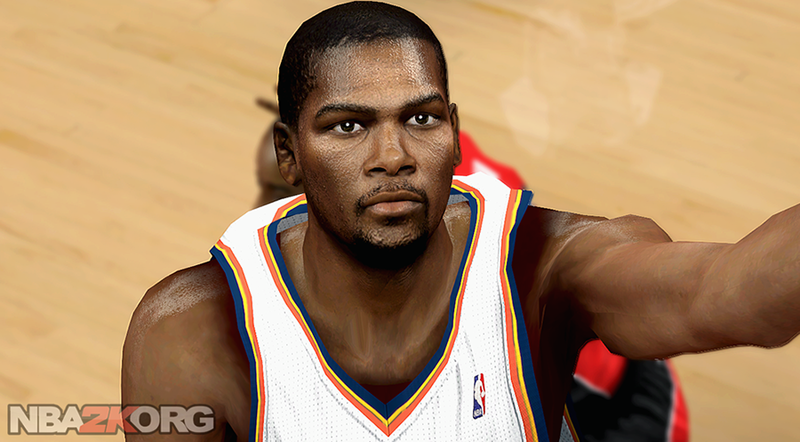 A more detailed NBA 2K14 cyberface for Oklahoma City Thunder forward Kevin Durant. 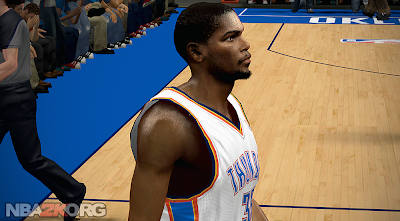 The sideburns (stubbles) and beard are more detailed. The CF looks HD specially if you're using a good graphics enhancer.